UHV students and Dr. Moghaddam, assistant professor of management, back center, celebrate April 28 after the UHV Bachelor of Business Administration Conference at UHV Katy. Patrice Capone and Arnela Mujezin of Houston, and Shana Sellew and Priscila DeLeon of Richmond set out to learn as much as they could about the company for their conference analysis. 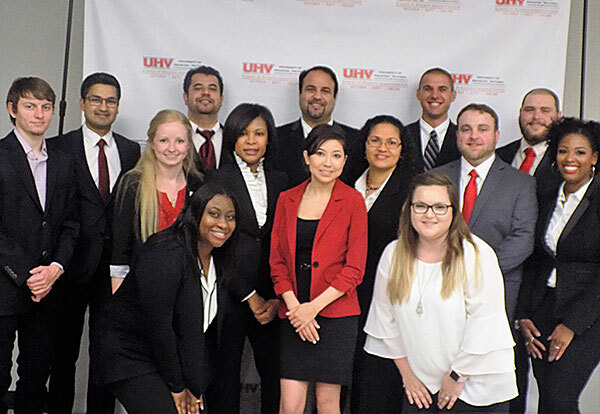 Ultimately, their expert analysis about the company and ability to draw from what they learned in UHV business classes earned the team first place in the case competition. The UHV School of Business Administration held the conference April 28 at UHV Katy. Every semester since 2007, students enrolled in “Strategic Management,” the capstone course of the BBA program, have attended the conference and competed as teams in the presentation of a company case analysis. This year’s competition featured 121 students on 27 teams. Cinemark Holdings Inc. is a leader in the motion picture exhibition industry with 533 theaters and 5,964 screens in the U.S. and Latin America. Capone said the team started by studying the company website and its competitors. Next, team members studied Cinemark’s annual report public records that had been filed through the U.S. Securities and Exchange Commission. The team also looked up different news stories about the industry. 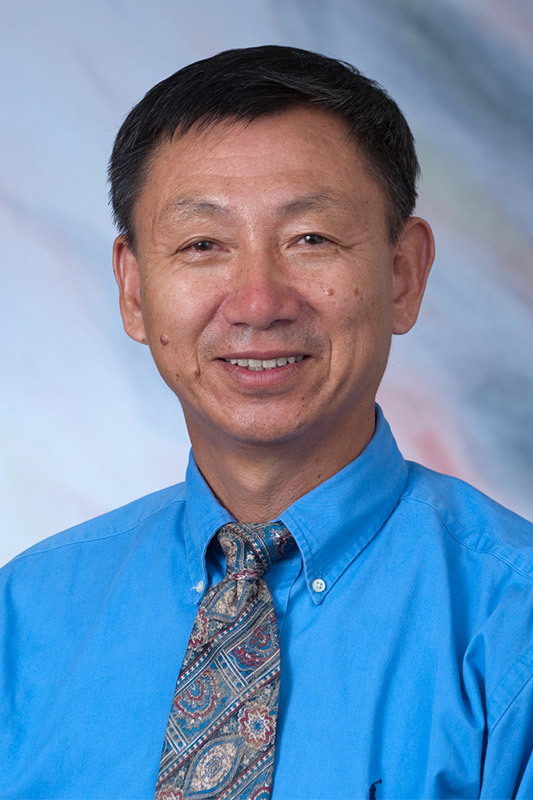 Capone said the help of Kaveh Moghaddam, assistant professor of management, was instrumental in their team’s success. Capone said her team casually joked about winning at the beginning of the semester and were not actually expecting to win or place in the top three. Second Place – Ibrahim Alyassir and Trang Taylor of Richmond, John Finnegan of Fulshear and Angelica Sanchez of Bakersfield, Calif.
Third Place – Fatima Boulares of Houston, and Fereshteh Kia, Renato Tan and Duong Tran of Katy.